A trip out to the Llangollen Railway and what a day to pick - it's the Eisteddfod and Charles & Camilla are visiting! Needless to say that there wasn't a parking spot anywhere except for the extortionate municipal job which cost an absolute fortune so we moved on - do they REALLY want tourists to visit the town? 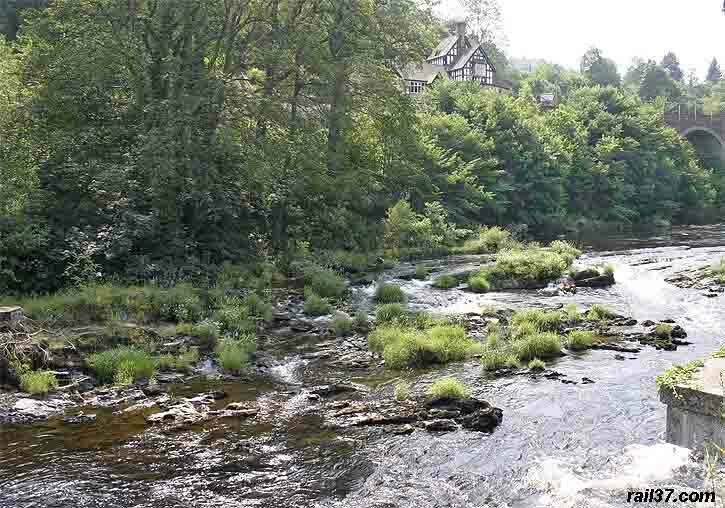 We eventually headed for Carrog but decided to stop off at The Chainbridge Hotel for something to eat. This was the view from the hotel. Sadly the bridge itself was closed off and a good job too because it had clearly seen better days. Like much of North Wales the hotel is badly in need of some remedial works but will the level of business allow for it - the eternal dilemma? A train arrived with 7822 "Foxcote Manor" in charge. The train set off for Carrog as the engine brewed up. I just managed to get to Carrog station as the Manor was reversing round the train. 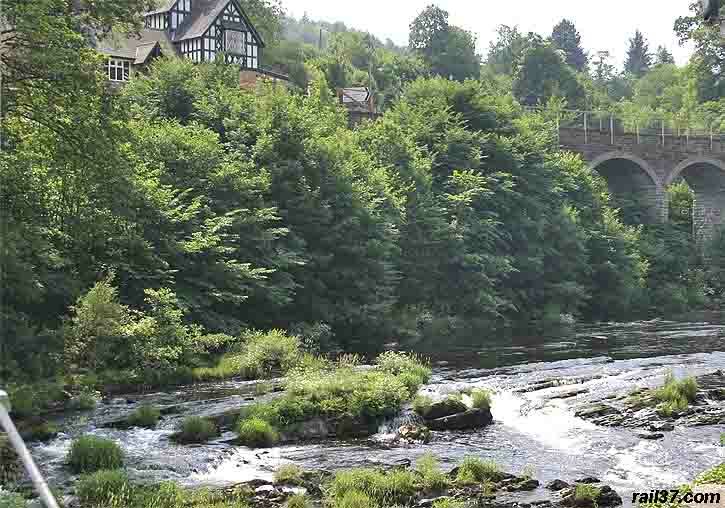 I like the Llangollen railway very much, it runs through spectacular scenery and Llangollen itself can be explored at will. However, on the day I visited, the town was packed with visitors but they did not appear to be visiting the railway. It lacks character somewhere, there is no sense of excitement and everything seems to happen in slow motion. 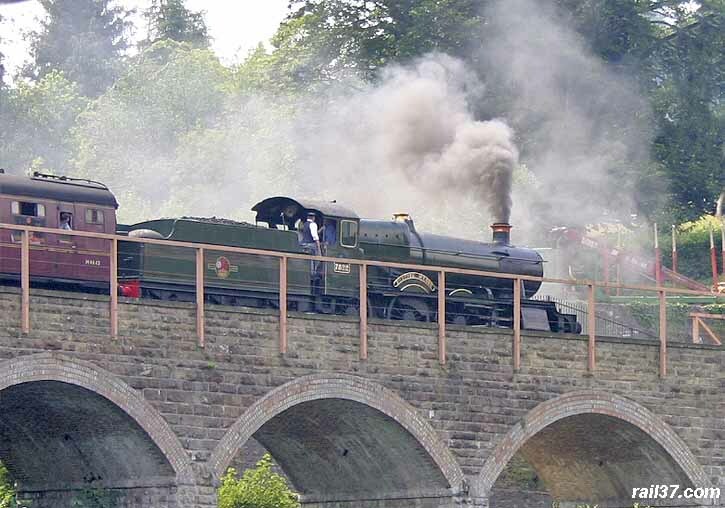 When we arrived at Llangollen there were several people wanting to photograph the engine but couldn't because staff members were messing about on and around the cab. The engine sat there for an interminable amount of time before anyone bothered to uncouple it and then another long wait before a signalman arrived to organise the runround. Having travelled on the train, passengers inevitably want to photograph the engine - everyone has a digital camera these days - with or without their family on the shot but the constant fussing tends to prevent this. Why can't the engine come in, be uncoupled, run round and then recouple to allow visitors to shoot away to their heart's content without having to spend an hour or so to take what they see as memorable pictures? 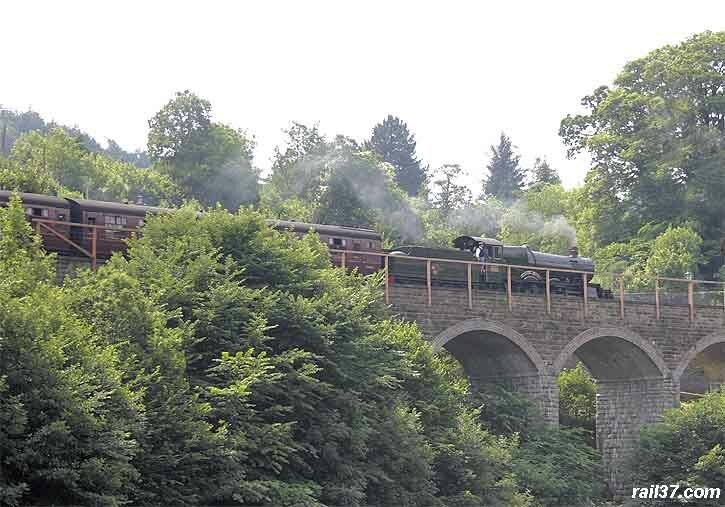 Llangollen isn't alone in this and many railways would do well to consider the lot of the amateur photographer. Well positioned, fenced compounds would surely go a long way towards eliminating the dangerous and unwanted trespass that we see and hear about all too often.